If you have been to see Taika Waititi’s film The Hunt for the Wilderpeople (2016) you will remember the scene in which the two main characters discover the long-believed-extinct huia bird, while they are deep in the bush. 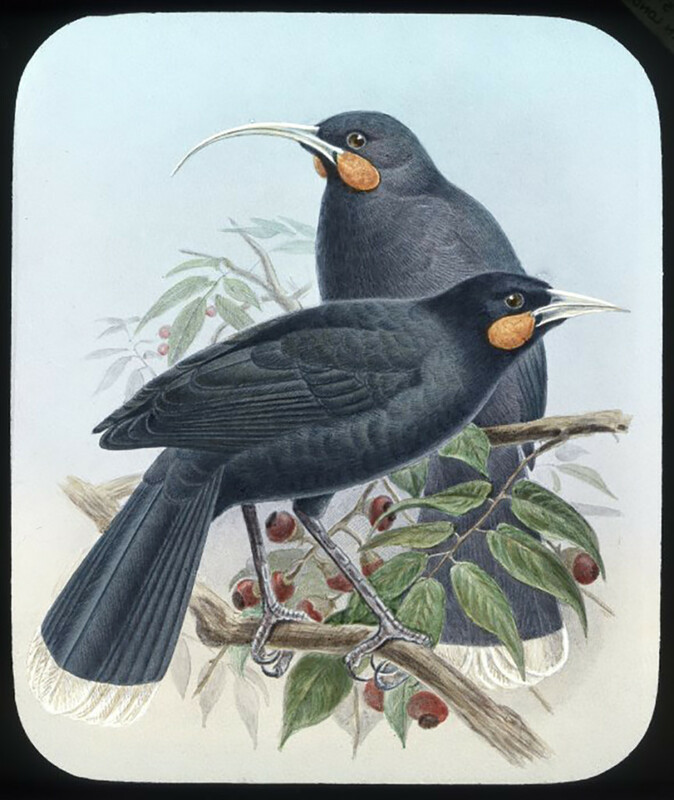 In real life, the last authenticated sighting of a huia is generally believed to have been in 1907 in the Tararua Ranges, north of Wellington. Sound recording technology was in its infancy when the huia died out, so there are no recordings of the actual bird call itself. However, Ngā Taonga Sound & Vision’s sound collection holds several recordings about the huia, including eyewitness descriptions of it – and a re-creation of the bird’s call by a man who remembered them well. You can hear me talking about these recordings with RNZ’s Jesse Mulligan here or listen to the full recordings below. The sad tale of the huia holds a great deal of fascination for many people – both Māori and Pākehā, as well as people overseas. In my role as Client Services Co-ordinator, I handle requests from people who want to hear sound recordings from Ngā Taonga Sound & Vision’s collection. In the case of the huia, these might be ornithologists, academics interested in aspects of extinction, or artists and musicians inspired by the melancholy idea of being able to hear the call of the bird that has long been silenced. This usually leads them to one particular recording, which is the re-creation of the huia’s call. Copies of this recording have been circulating widely for many years. Excerpts from it can be heard in several places online and it has been broadcast by RNZ in various programmes over the years. The recording was therefore never “lost” as such, but the story of how it came to be recorded had been forgotten, so when journalist Kate Evans contacted me last month, some research was called for. Kate was writing an article about the huia recording for New Zealand Geographic magazine’s “Artefacts” column. She was keen to know more about its origins – as was I. We don’t hold the original recording in our collection, but rather a taped copy made in the 1960s. On listening to it, you can tell by the sound of surface crackle and hiss that it is a copy of a recording that had been made originally on an acetate disc. This pointed to a recording date probably prior to the mid-1950s, when tape recording technology took over from discs. We didn’t know when or where it was originally recorded, so together through the magic of the internet, the online records of several museums and libraries, phone calls and emails, Kate and I began to unravel the tangled tale of the provenance of the many copies in circulation, until we wound our way back to 1949. 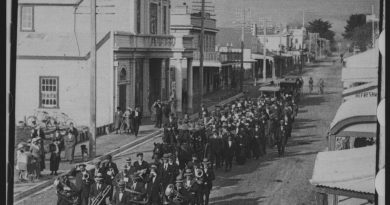 We learned the recording was made by two men from Moawhango, near Taihape. The man who introduces the recording is R.A.L. (Robert) Batley, who was from a local Pākehā family that had been early settlers in the region. He in turn introduces Hēnare Hāmana (Te Aitanga-a-Māhaki, Ngāti Porou) who makes the imitation huia calls. As a young man, Hēnare had been part of an expedition to try and find any remaining huia in the Ruahine Ranges. He and several other men who were good at imitating the bird’s call went along, as the call was one way that huia had traditionally been lured. These expeditions were sadly unsuccessful and by the 1940s the bird was considered extinct. Robert Batley was a local historian and author, and in 1949 he decided it would be good to record for posterity the closest thing left to the call of the bird. So he organised for himself and Mr Hāmana – who was now in his 60s, to go to Wellington and make this recording in the studios of radio station 2YA – now RNZ National. “Because of my concern that the call of the huia would be lost forever, I took Hēnare Hāmana to Wellington and we made the recording.” – R.A.L. Batley, letter to the Editor, The Listener, 28 Feb 1976. 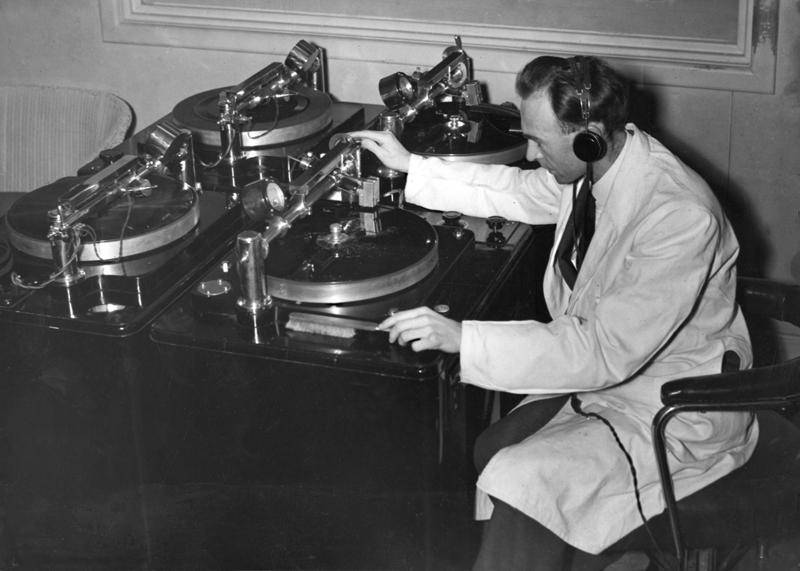 By the mid-1950s, tape recording technology was now in use in New Zealand and taped copies of the recording by Mr Batley and Mr Hāmana appear to have been circulated quite widely among bird call enthusiasts. It is a unique recording mimicking an extinct bird and obviously it was of great interest to many academics. Kate even found a copy in a natural history library in the United States, where it has been the inspiration for work by writer and ecologist Dr Julianne Warren. Kate was keen to see if an original disc was still in existence and made contact with the Batley family. She learned the original disc that Robert Batley re-acquired from the Wildlife Service had been deposited, with his papers after his death in 2004, with Whanganui Museum – and they were able to provide a photo of it for her article which you can read here. For eye witness accounts of some of the last sightings of the huia, I recommend to researchers that they listen to this wonderful radio documentary from the 1960s, also held in our archives, simply called The Huia. The Huia, Alwyn Owen and Ian Johnstone, “National Programme,” 28 Mar 1967. This recording was produced by broadcaster Alwyn Owen, later of Radio New Zealand’s “Spectrum” fame. In it he talks to various people about the last days of the huia and how it came to die out. The programme begins with a haunting poroporoaki, or traditional farewell, by broadcaster Reverend Kingi Ihaka (Te Aupouri). As a result of Kate’s enquiry and our joint research, we now have a much richer understanding of the origins of this important recording, and we have been able to fully identify Mr Batley and Mr Hāmana. As he himself discovered in 1976, Mr Batley’s name had disappeared altogether from many institutions’ notes about the huia recording, and Mr Hāmana’s name had gone through several spelling variations over the years. It is thanks to the skill and foresight of these two men that we can still hear an echo of this lovely, long-lost bird which continues to inspire people and it is good to be able to correctly attribute the recording to them once again.